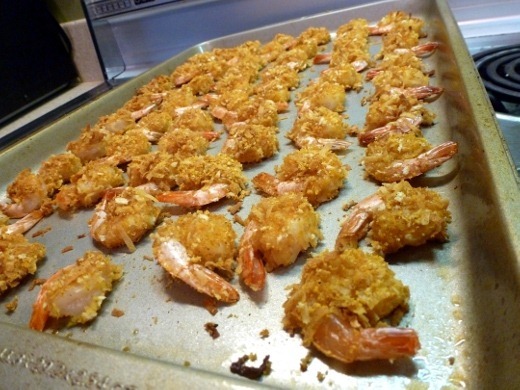 I loved the idea of making my own baked version of coconut shrimp at home, and Kraft’s recipe looked to be one of the most straightforward I could find, so I went with theirs! The coating is simple, consisting of toasted Baker’s Angel Flake shredded coconut, Shake ‘n Bake coating mix, curry powder, and cayenne pepper. 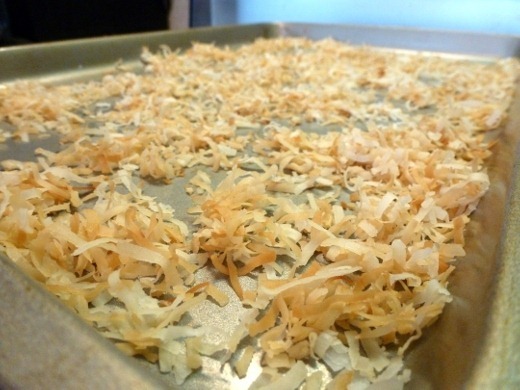 This week I’ve toasted coconut twice, which is two times more than I ever have before in my life. Both times were a success! No burning in the MegGoesNomNom kitchen. So delicious! 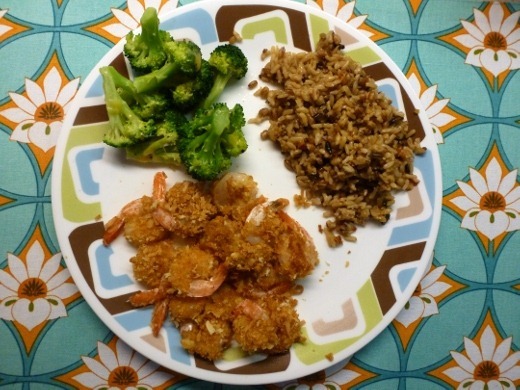 Served with broc-a-loc-oli and ready-to-heat whole grains. 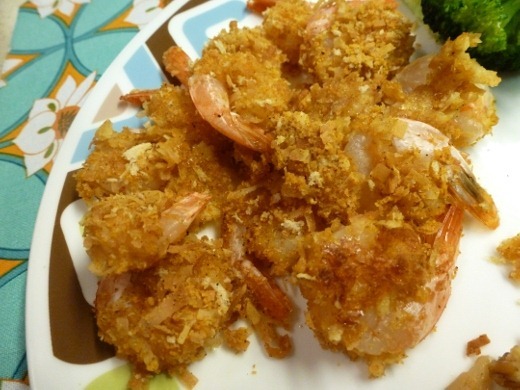 You’re right – who doesn’t love coconut shrimp?! Love the extra seasonings you put into this, and baking was a great idea.